We desperately need to bring research and knowledge to bear on the world’s most pressing problems. But researchers in the countries where much of that knowledge is needed are often the least able to respond. 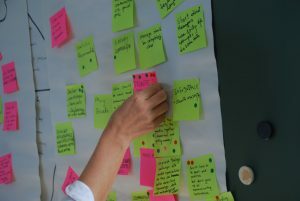 Research will only offer new solutions if it is generated in the countries that need it most, by researchers best placed to understand local contexts, and by collaborative efforts between researchers, policymakers and practitioners. From entrenched poverty and hunger, to poor health and education systems, to a steadily warming planet, our world faces some huge challenges. We need to find new sources of clean and affordable energy, and connect the 1.1 billion who still don’t have electricity. We need to take better care of our oceans and forests — vital parts of the earth’s complex ecosystem and the source of livelihoods for billions of people. And we need to tackle rising inequality, and disadvantage and discrimination based on gender. To tackle these it’s clear we need new knowledge — and to make better use of the knowledge we already possess. The Sustainable Development Goals recognize this too — emphasizing the importance of research for ending hunger and improving nutrition, for protecting our oceans and marine life, and for developing new sources of energy. 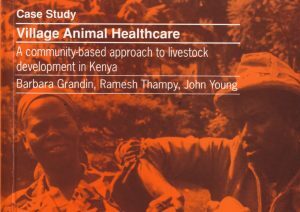 And, with these challenges often particularly acute in developing countries, it is vital that research into causes and solutions can also take place within the areas affected. Too often, researchers in developing countries — whose work is urgently needed — encounter fundamental barriers to doing research. To do research, you need access to what has already been written before. You need to be able to build on the existing body of knowledge, develop robust methodologies, and learn from others’ insights. This means digital libraries stocked with the latest journals, books and databases. This, in turn, means strong relationships between national library consortia and academic publishers. The struggles of some researchers to access expensive pay-walled journals has led some to sites such as SciHub . While the ethics have been debated, it is not hard to see why this has happened. The good news, however, is that there are solutions that are enabling developing country academics and students to access the knowledge they need without turning to pirated copies. In fact, in 2015 over 1,600 universities, research institutes, government agencies and local NGOs had access to a staggering range of journals — up to 50,000 in some cases — as a result of INASP’s work with publishers and with national library consortia. 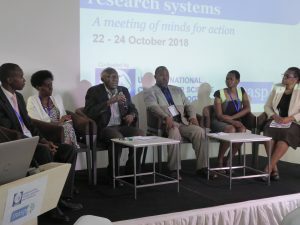 For example, in a recent blog post, Philip Antwi-Agyei, a Ghanaian scientist researching the effects of drought on food production and rural livelihoods, shared the difference that information access, available through the Consortium of Academic and Research Libraries in Ghana, makes to his work. “One cannot talk about development of a country without access to the basic necessities of life including shelter and food. Access to published research helps researchers to advance the frontiers of knowledge in sustainable food production in order to reduce malnutrition,” he explained. It doesn’t stop there. 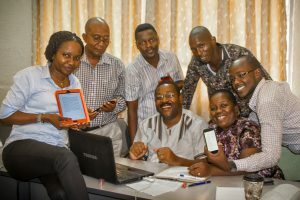 When researchers fire up their laptops, they also need to be able to connect to robust, reliable IT networks which enable them to access the information they need, share data, and communicate with peers around the world. Although internet access is improving, university networks are often in a poor state — so connectivity slows in the crucial last few 100 metres. Over the last few years we’ve worked with national research and education networks — NRENs as they are known — which provide specialist academic IT services. In Uganda, Tanzania and Zambia, they have trained university IT engineers, improved networks and installed new WiFi services. It’s a key building block of the research system that we aim to continue to support. It’s important too that research is developed not in academic isolation, but in ways that enable researchers within civil society, or practitioners and policymakers to work together. Policymakers and practitioners need more than just access to academic information. They need to be involved in setting agendas, defining questions to be asked, and contributing to and guiding research as it progresses. Researchers outside of academia need support to do their work too. While the challenges are complex, and require the work of many organizations from different sectors, we think we have something valuable to contribute. Our new five-year strategy, launched in August, sets out how we will do this. 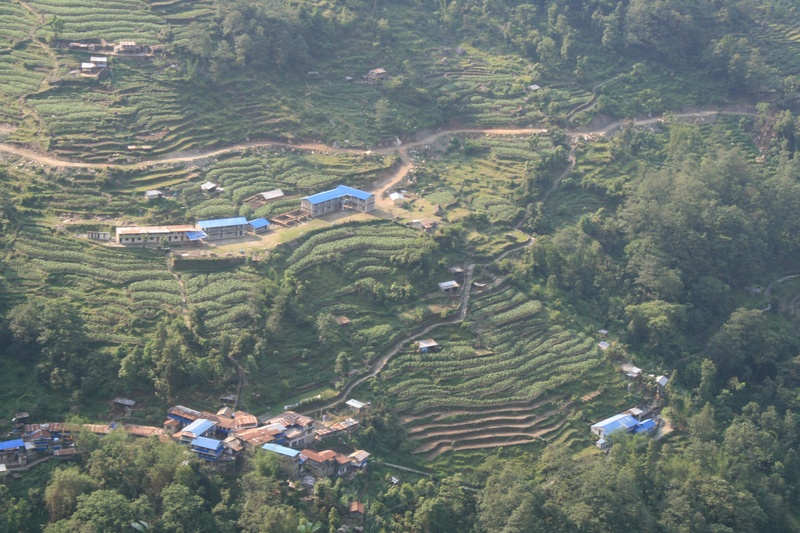 Our vision is of research and knowledge at the heart of development. Guided by the ambitions of the Sustainable Development Goals, by our 25 years of experience supporting research in Africa, Asia and Latin America, and underpinned by some enduring partnerships — and new partnerships we hope to develop — it sets out how we plan to support individuals and institutions to improve the quality of research, and ensure that research responds to development challenges. We’ll strengthen the skills to produce research – by academics, and by NGO and civil-society researchers. We’ll strengthen access to research information, working with international publishers to do this, and also building the skills to navigate and appraise digital sources. We’ll support the development of robust IT systems in so that researchers can engage with their peers. We’ll provide specialist and tailor-made support to women researchers so that they can be as productive and successful as their male counterparts. My colleague Ruth Bottomley will talk more about this in our next blog post. We’ll also support universities and research institutes to adapt process, policies and behaviours to enable research to be produced. Of course, supporting the production of research is not the end of the story. New knowledge needs to be shared with others, and ultimately used in policy and practice. My colleagues will be writing about these aspects of our new strategy in the coming weeks.